Oh my, how lovely! I can’t wait to start smelling these all over the place! Oh these are lovely! I am looking forward to spring! I’m practically squealing with excitement. I’ve never been so giddy about spring! This is gorgeous, Lindsay! I love Wisteria!! I wish I could grow it. Wisteria is absolutely my favourite thing about Spring. Ours isn’t blooming yet though! 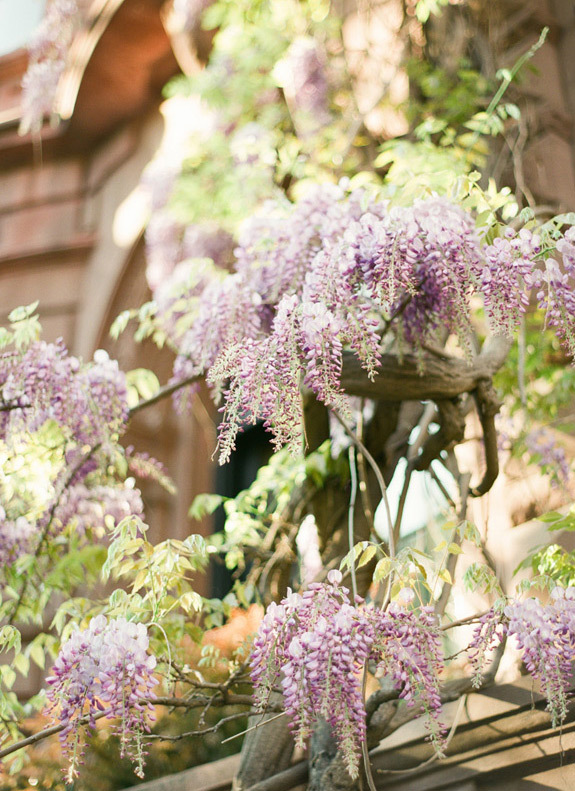 You know… I chose my wedding venue specifically because of the Wisteria that grew there. And do you know… it wasn’t in bloom at all because of some freak weeks of rain that we had before and after our wedding. Still makes me thing of my wedding every time I see it though. So beautiful. Gorgeous! They’re not out here yet but really looking forward for when they do bloom. I love wisteria! So happy Spring is here! me too!! it’s about time – hooray for spring! Thinking of spring, thinking of spring. This helps. This is gorgeous and makes me long for the snow to melt and watch the spring flowers push through! Beautiful! I’m so ready for spring!